Designer and manufacturer of of PVC wire coating plant, PVC compounding plant, armouring machine bunching machines, high speed mixer machines, printing machines, stranding machines, triple head taping machines, double head taping machines, single head taping machines and extruder. We offer Pneumatic Pay Off Cable Machine¿¿suitable for easy loading and unloading of loaded bobbin through hand lever and mechanical tension control wheel mounted to set the proper tension on Wire at the time of a process. The adjustable stopper is being used to adjust the centre height as per the different size of the bobbin. 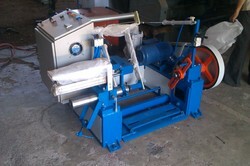 The sliding cylinder system is also adjustable as per different bobbin width. 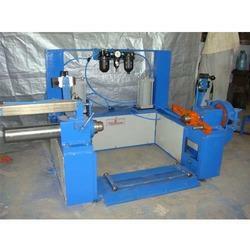 We are providing a wide range of Pneumatic 630mm Driven Pay Off Machine¿¿pay off suitable for wire extrusion. It is used in big Projects.¿¿The Pay off 630 is fitted with the bobbin loading carriage mounted on DIN rail.¿¿The pay off is driven by the motor and the tension is controlled by the dancer unit.¿¿¿¿The different pintle sizes are replaceable and make it easy for the use of different bore size bobbins. 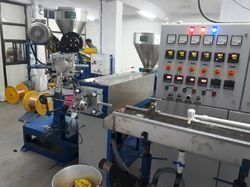 We are a recognized as a well known manufacturer, exporter and supplier of the best quality ofPVC Cable Machinery Plant. Looking for Taping Machines ?